business enterprise. Why do we say this? 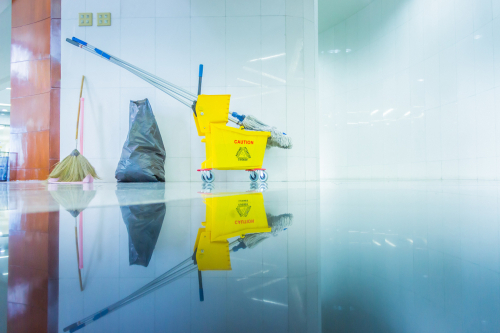 There are several reasons why a clean business facility in this country is a must-have. In this write-up, we briefly highlight the value of clean commercial premises, then look at importance of choosing the right commercial cleaning company and wind up by giving you some vital tips on how to choose the right commercial cleaning company in this country. · Singapore is renowned for its impeccable cleanliness; ensuring your commercial property is spotlessly clean is one way of maintain this all-important national character. In any case you don’t want your premises to be the one spoiling the party. · More precisely, a clean work environment boosts the employees' self esteem. No one likes working in a disorganized or unclean office. Employees feel valued when they work in a clean and tidy environment. · Other than being unpleasant, an unclean work environment can be a source of distraction to the employees. Such an environment restricts the brain’s ability to process information and can have a significant toll on their physical and mental health. · A clean commercial property is welcoming to your customers and other visitors to your workplace. Remember, just like in other aspects of life, first impressions matter a great deal. Hardly any visitor will feel comfortable in a dirty and smelly environment no matter how good your products and (or) services are. A poorly cleaned workplace will definitely compromise your business. 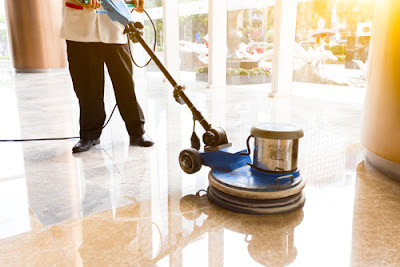 · The level of cleanliness of the commercial property has direct health implications to the employees and anyone who pays a visit to the facility. For your employees to remain productive and up to the task they need an uncluttered, germ-free, and clean workplace. Imagine the number of hours that employees would otherwise use as they seek medical attention due to an unclean workplace. · On a similar note, your clients are bound to avoid a premise they deem risky to their health remember, they are coming to your premises for the goods and services you offer; they are not in a mission to put their health at jeopardy. Having said this, it’s obvious that every business enterprise wants to operate in a clean environment; there is everything to gain and a lot to lose if you don’t do this. In case you have ever tried a DIY approach to commercial cleaning you know the challenges; in case you have not let’s save you the agony by briefly highlighting some of these challenges so that you don’t have to learn the hard way. Cleaning is not part of your core business. As such you will hardly have enough, well-trained, and experienced team of commercial cleaners in the rank and file of your employees. Any cleaners you may have might hardly match the skills and competencies of professional cleaners. Maintaining a team of employees just for cleaning purposes is a big cost-center in terms of salaries and other benefits. These are costs you can simply avoid by out-sourcing cleaning services. Low expertise means your in-house staff might not have all it takes to utilize the right equipment and products that are safe for the workforce and the environment. This can be a big challenge especially to the increasing number of business entities in Singapore that want to abide by an eco-friendly policy. Well, these are not the only challenges of a DIY approach to commercial cleaning but they suffice to show that that is not the best route to take. If you want excellent and affordable commercial cleaning in Singapore the best option is to engage the services of a professional commercial cleaning company in this country. choose the right commercial cleaning company in Singapore. If this is your predicament, don’t give up yet. Let’s share some tips with you and hopefully make the process of picking the right cleaning company easy and convenient. here is the right company should be reasonably close to you. This means that an online search for commercial cleaners near you in Singapore is a good starting point. Once you land on the names and websites of these companies near you it’s time to assess the reputation and credibility of each of these companies. Take your time and check on each of these websites, and (or) social media accounts to see their location, telephone number, email address and so on. 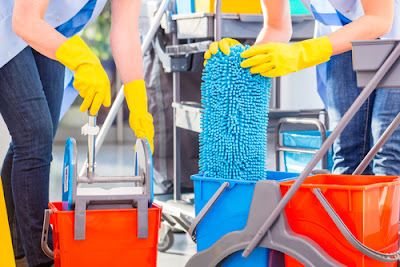 Just to be sure, the right cleaning company must fulfill all the statutory and regulatory requirements set up by the Government of Singapore including having a legitimate license and necessary certifications. This is information that you can easily get on their websites. Such compliance will give you a formal assurance that the company adheres to the best-practice as envisioned by the government. on the overall, but your focus should be on what the general feel of the customers is. What are they saying? Are they satisfied with the services offered by this company? As part of the credibility, test check whether the company is able to guarantee that all its employees have the correct ID and are highly professional. Remember these are people who will have regular access to your offices. So you need to be highly confident that they will conduct themselves with utmost honesty and diligence. Once you are happy or contented with the company’s reputation and credibility, move on to the finer details. Businesses premises are not the same and as such, they require different cleaning approaches. For instance, the kind of cleaning required for a school differs in some way from that of a wet market, industrial warehouse, food courts and more. What is important here is to establish whether this company covers your kind of business property. This ensures you only hire a company that has the right equipment, skills, and competencies to give your property some excellent cleaning. Remember, you are paying for it. cleaning process. While this might be up to you to decide you cannot deny that such a move will give you greater peace of mind knowing that your items in the office are well covered against damage. This is a rather tricky consideration. Like with every other service and product, the cost of commercial cleaning differs from one company to the next. However, bear in mind that here in Singapore there are rates for daily, weekly and monthly cleaning sessions. In most cases, the charges in this country are on an hourly rate and vary depending on the scope of the work and number of hours it takes to accomplish the task. Take some time and compare the rates of different companies bearing in mind what each company promises to do and always choose the most affordable and reliable commercial cleaning company. budget and a solid reputation to back it up.